Wow! 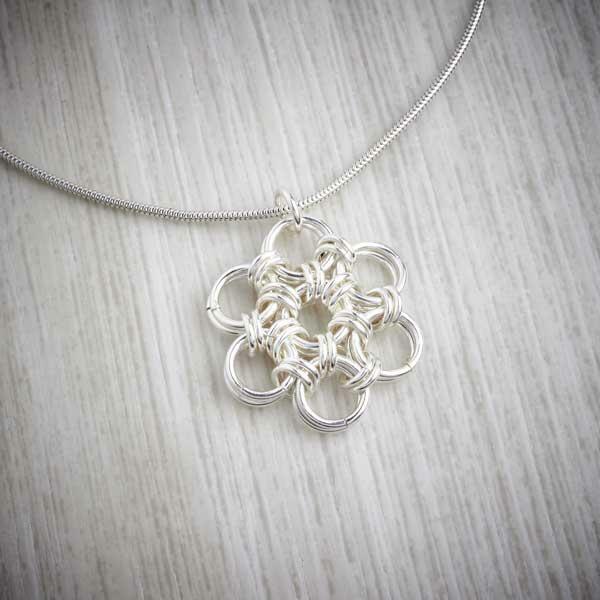 A beautiful necklace inspired by Japanese chainmaille. This pendant draws upon the traditional Japanese weaves seen in chainmaille armour to form a flower, emphasising the juxtaposition between art and war. 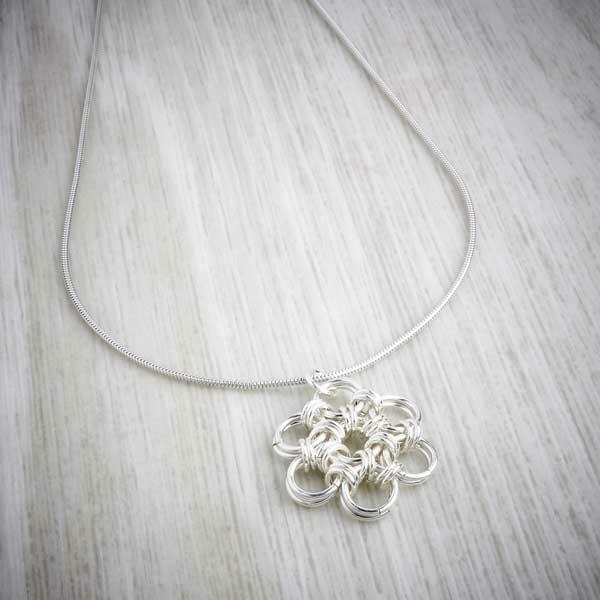 The flower pendant was inspired by the honeycomb nature of the Japanese weave - making it perfect for a flower motif! 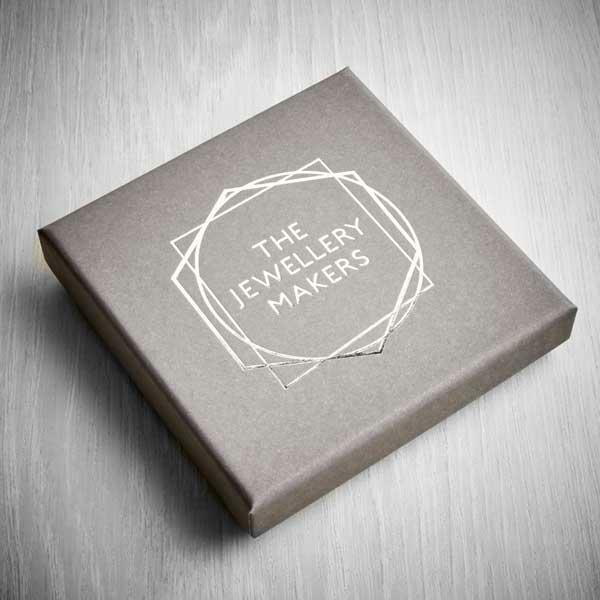 Perfect for a lady that doesn't like to wear anything to chunky but wants a unique pendant that will grab attention- the pendant glitters and sparkles as it catches the light.